Other photos: Photo 1, Photo 2, Photo 3, Photo 4, Photo 5, Photo 6, Photo 7, Photo 8, Photo 9, Photo 10, Photo 11, Photo 12, Photo 13, Photo 14, Photo 15, Photo 16, Photo 17, Photo 18, Photo 19, Photo 20, Photo 21, Photo 22, Photo 23, Photo 24, Photo 25, Photo 26, Photo 27, Photo 28, Photo 29, Photo 30, Photo 31, Photo 32, Photo 33, Photo 34, Photo 35, Photo 36, Photo 37, Photo 38, Photo 39, Photo 40, Photo 41, Photo 42, Photo 43, Photo 44, Photo 45, Photo 46, Photo 47, Photo 48, Photo 49, Photo 50, Photo 51, Photo 52, Photo 53, Photo 54, Photo 55, Photo 56, Photo 57, Photo 58, Photo 59, Photo 60, Photo 61, Photo 62, Photo 63, Photo 64, Photo 65, Photo 66, Photo 67, Photo 68, Photo 69, Photo 70, Photo 71, Photo 72, Photo 73, Photo 74, Photo 75, Photo 76, Photo 77, Photo 78, Photo 79, Photo 80, Photo 81, Photo 82, Photo 83, Photo 84, Photo 85, Photo 86, Photo 87, Photo 88, Photo 89, Photo 90, Photo 91, Photo 92, Photo 93, Photo 94, Photo 95, Photo 96, Photo 97, Photo 98, Photo 99, Photo 100, Photo 101, Photo 102, Photo 103, Photo 104, Photo 105, Photo 106, Photo 107, Photo 108, Photo 109, Photo 110, Photo 111, Photo 112, Photo 113, Photo 114, Photo 115, Photo 116, Photo 117, Photo 118, Photo 119, Photo 120, Photo 121, Photo 122, Photo 123, Photo 124, Photo 125, Photo 126, Photo 127, Photo 128, Photo 129, Photo 130, Photo 131, Photo 132, Photo 133, Photo 134, Photo 135, Photo 136, Photo 137, Photo 138, Photo 139, Photo 140, Photo 141. "Sea Bear", is a one time owner and has been maintained to the highest standard. She shows beautifully from her exterior shine, down to her raised panel mahogany throughout the interior of the boat! 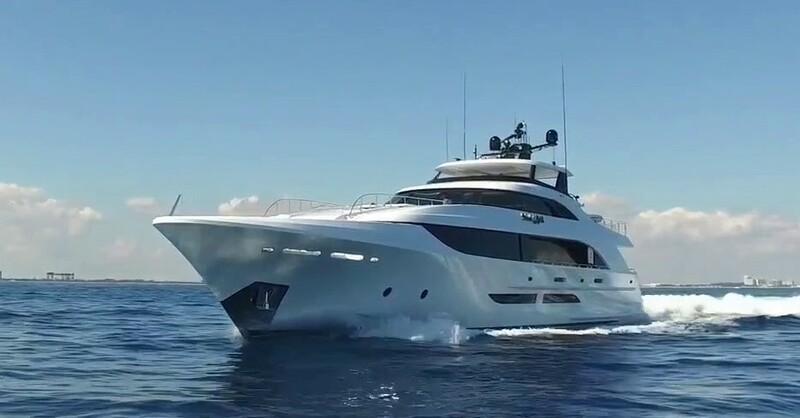 SYS Yacht Sales is pleased to assist you in the purchase of this vessel. This boat is centrally listed by C. Nicklaus Starling & Associates LLC.